At Mirage Landscaping of Calgary our main winter activities at work revolve around ice management with bouts of snow removal. But just as there are bleak winter days where it seems the spring is still a year away, there are also lots of good days that allow us to get ready for warmer weather. 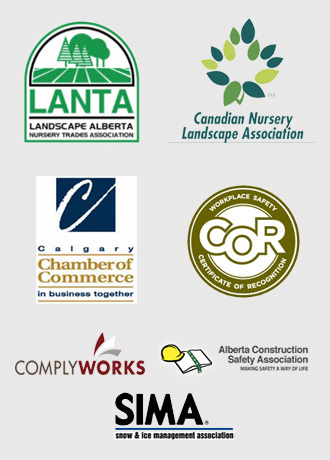 There are all manner of things Mirage Landscaping can do for our Calgary area residential and commercial clients that don’t need to wait for April or May. Don’t wait for the thaw or for spring rains to have us come by and assess the state of your retaining walls, decorative walls, or your patio and walks for that matter. If repairs are looking likely, we can both get a jump on the problem and formulate a plan to put into action when the weather is favourable. By that same token, also don’t wait to identify whether you have low spots and other poorly draining areas of your property we can assess for you. We have easy solutions for many drainage problems. Just about any days of the year we are able to make repairs on fences, above ground planting beds, and put in trellises or winter mood lighting. As long as concrete footings or heavy digging are not required we can install or make repairs with little or no complications from the weather. Though winter is out of season for installing buried irrigation systems, it is the ideal season for laying out the micro irrigation systems you may want to run to hanging planters, to above ground flower beds, or to the surface of any garden plot where you want to conserve water. Without the annual plants present, it is easier to get a general idea of how many watering points you might want to have installed. Come spring, we will come by to make sure everything is ready to go. It’s never too late to put in proper ground cover, like mulch, straw, or whatever you prefer, to insulate shrub beds or protect tulips and other bulb growing perennials. If you didn’t clean out the dead leaves from spring, it’s not too late to get that potential tannic acid out of those areas either. And if you have young trees or shrubs that could still benefit from wrapping to protect against harsh weather or sun scald, it’s better late than never to protect against common winter damage. Additionally, some fruit bearing plants, blueberries for instance, are best thinned out in the coming month, before any hint of an early spring or a snap warming spell gets the sap moving in their canes once again. Thinning out the canes of a woody fruit bearing plant results in the remaining canes growing more luscious summer berries as the energy of the plant is concentrated. We like to grow things, and are always happy to see greenhouses installed at our clients’ homes. We know what goes into constructing such a feature for our northern climate. Winter is a time given to long contemplation. If you have a project forming in your mind’s eye this winter, one that you just can’t ignore, get in touch with us. Your imagination is the limit. We have three generations worth of experience creating what our clients have dreamed up. 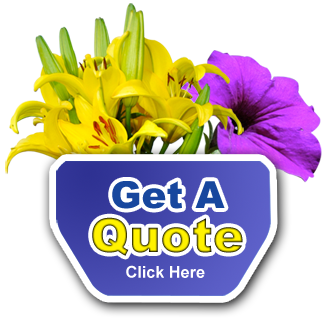 You may think of landscaping as a three-season activity, but for us it our year ’round passion. There is no project too big or too small that we won’t discuss with you.